My son attended British Soccer Camp this week and he loved it. The turn out for his age group was small, so they offered us to double up with the younger crew but the timing didn’t work for everyone. So my son ended up in a group of five players with two coaches. What he really liked about the experience. * The coaches were with the players every step of camp, not just side line coaching but rather giving a ton of feedback. 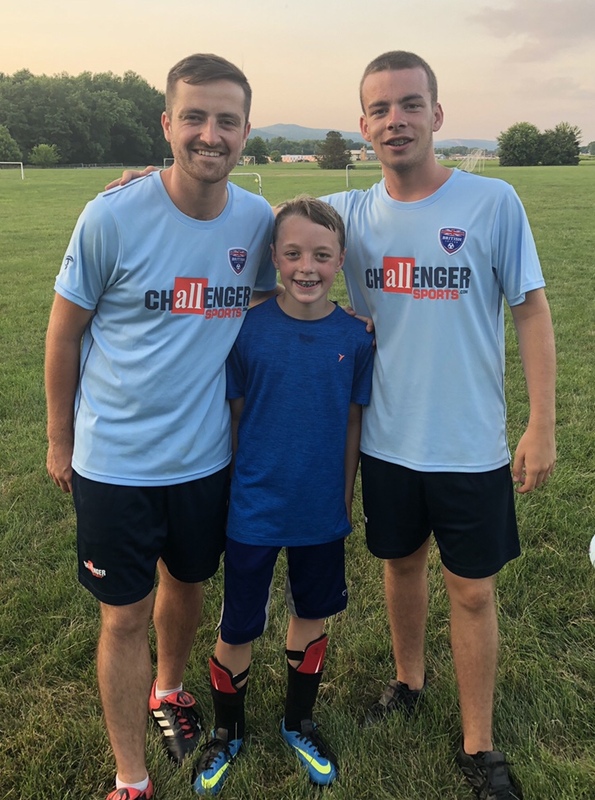 * Personal touches … the coaches got to know each player quickly and engaged with them on a personal level from open to close of camp each night. * Culture… kids like accents, they seriously think it’s cool to get to know a coach from another country. The camp also weaved in the international aspect by assigning each player a World Cup team to represent. Homework nightly connected the players further to their teams and had them researching new countries. * Quality instruction was at the heart of the camp. I was able to watch my son learning and applying new skills each night. British Soccer camp was a wonderful experience for my son. He grew as a player, showed increased confidence, and built relationships with his small group. I would sign him up again for this program. There are still several weeks that coaches from Challenger will be offering camps through the country. Check out all about it here!